Snakes I can handle, but spiders like that one really creep me out. LOL, I would have to agree with Chris. 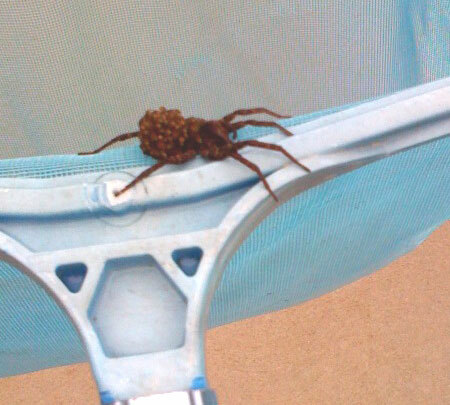 We have so many of these spiders in our pool. They freak my daughter out because when she tries to move them, it seems like hundreds of babies swarm around her. Do you know if the adult spiders bite?